On Sunday 16 September 22 golfers tackled the Collingtree Park Golf Club course in Northampton in the first Beat SCAD Charity Golf Tournament. 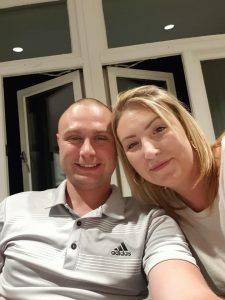 Paul Bone, husband of SCAD survivor Robyn, organised the event to raise money for research into Spontaneous Coronary Artery Dissection after Robyn’s dramatic SCAD event. 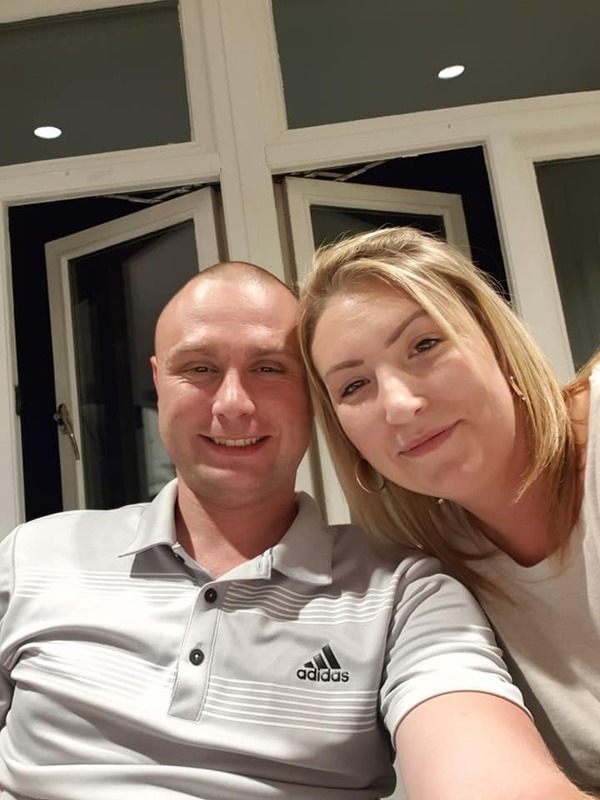 Earlier in the year Paul and his sister Loren had run the Milton Keynes marathon and raised a brilliant £1,900 for Beat SCAD. Having recovered from that, Paul decided on a golf tournament for his next fundraising effort. He began planning the competition, and obtaining prizes for an auction to be held at the post tournament dinner. Collingtree Park has been a PGA EuroPro Tour venue, so the course was challenging for some. Luckily, on the day the sun shone and although a little bit windy, the weather was kind enough to the golfers as they played in teams of four around the Collingtree Park course. With a variety of abilities among the players the tournament was played under Stableford rules. At the end of the day, several supporters joined the golfers for a delicious dinner. This was followed by a brief speech by Beat SCAD Trustee Karen Rockell. 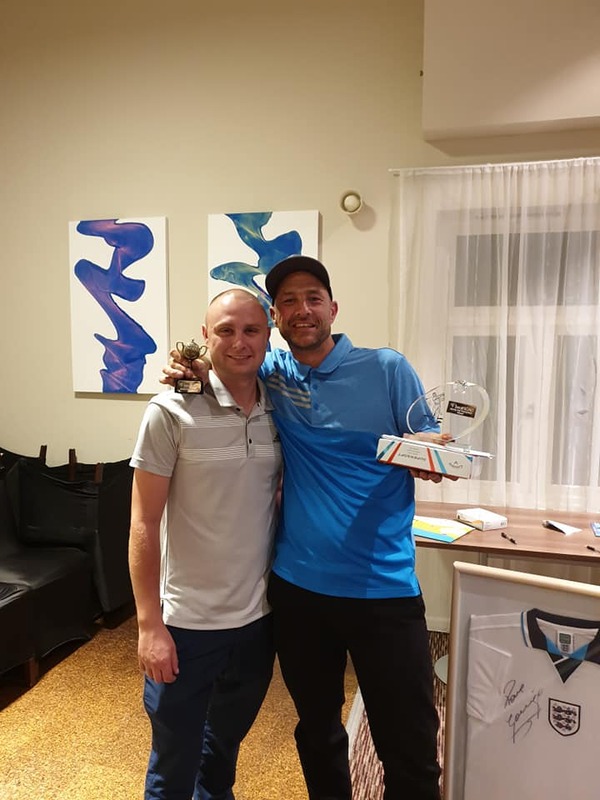 The winner’s trophy was awarded to Lee McAlister (pictured above with Paul), who also won the Longest Drive competition. The Nearest the Pin trophy went to Brian Juffkins and the final prize went to Lee Ives coming in with the lowest Stableford score of the day. Finally the evening ended with a Charity Auction. Amongst the prizes Paul obtained was a signed football shirt from Gazza, and various other prizes including several vouchers to play at a variety of golf courses in and around Northamptonshire. It was a great day, enjoyed by all and a brilliant £1220 was raised for Beat SCAD.